Dominating the southern tip of South Africa for thousands of years the San bushmen, or just Bushmen as they were called by the Europeans, are of small stature. 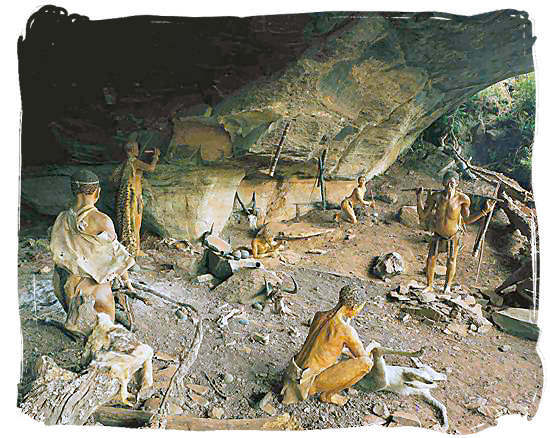 These hunter foragers left a legacy of their history on cave walls in many areas including the natural shelters of the Drakensburg Mountains. Historians theorize that 20,000 years ago these first people migrated to Southern Africa, driven south by the stronger warring bantu people in the north. 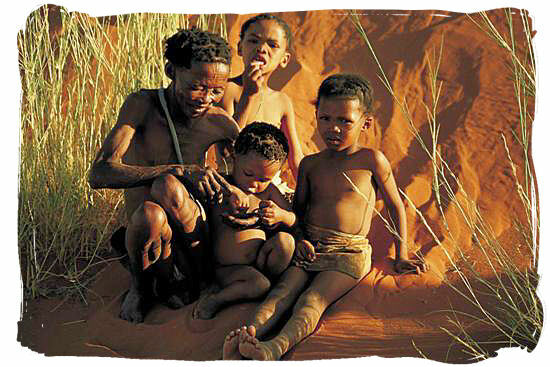 Sometime after they migrated, the San people separated into two distinct cultures. Over time, two distinct cultures grew from the original people. The San people remained hunter-gatherers, leading a nomadic lifestyle hunting and foraging the land, at peace with themselves and nature. The Khoi people adopted a more settled-down way of life, practicing agriculture and cattle farming. The word San means "those without livestock" and the word Khoi was associated with those who do. 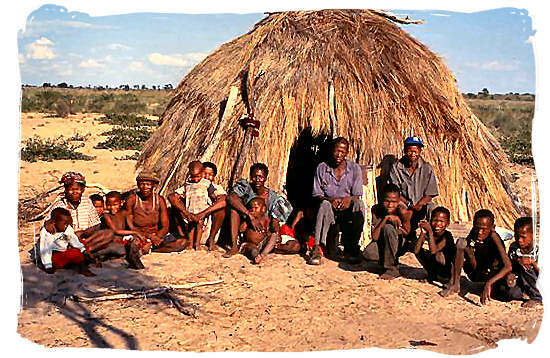 The San people were to be found in the interior of the country, while the Khoi preferred the regions closer to the coastline. Here they learned how to augment their food supply by fishing and gathering oysters and mussels. The Bushmen of South Africa have been protecting a way of life that is sacred to them for thousands of years. Persecuted by governments, forced off ancestral lands, decimated by disease and natural changes to their environment, the Khoisan people may number less than 100,000. Sharing a common ancestry, the two peoples were mostly referred to as bushmen by the European settlers. In modern day South Africa the word Khoisan is often used to refer to the small population of about 100,000 bushmen in South Africa and Namibia that have survived the times. Although physical and cultural differences between the San and the Khoi peoples may have disappeared in modern day times, their culture is still strong authentic. Visitors to South Africa can visit these amazing people and observe their culture and lifestyle. A visit to South Africa may include excursions to visit the Bushmen in their natural habitat, living the way they did hundreds of years ago. 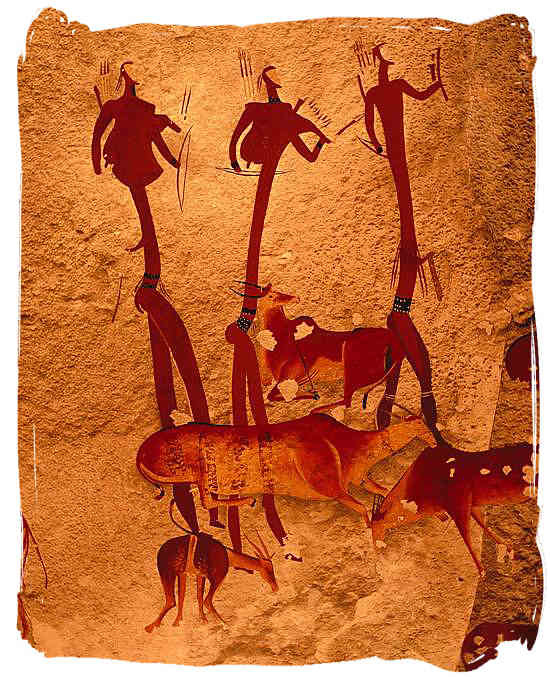 Visiting the local inhabitants, including the Khoisan, travellers can experience life as it has been for thousands of years, depicted by an invaluable legacy of rock art and paintings, to be found all over the country. Learning how other people live, and have lived, provides a depth of understanding unsurpassed by other means. Sights, sounds and tastes of the way of life of others provides visitors with memories and the photo opportunities of a lifetime.